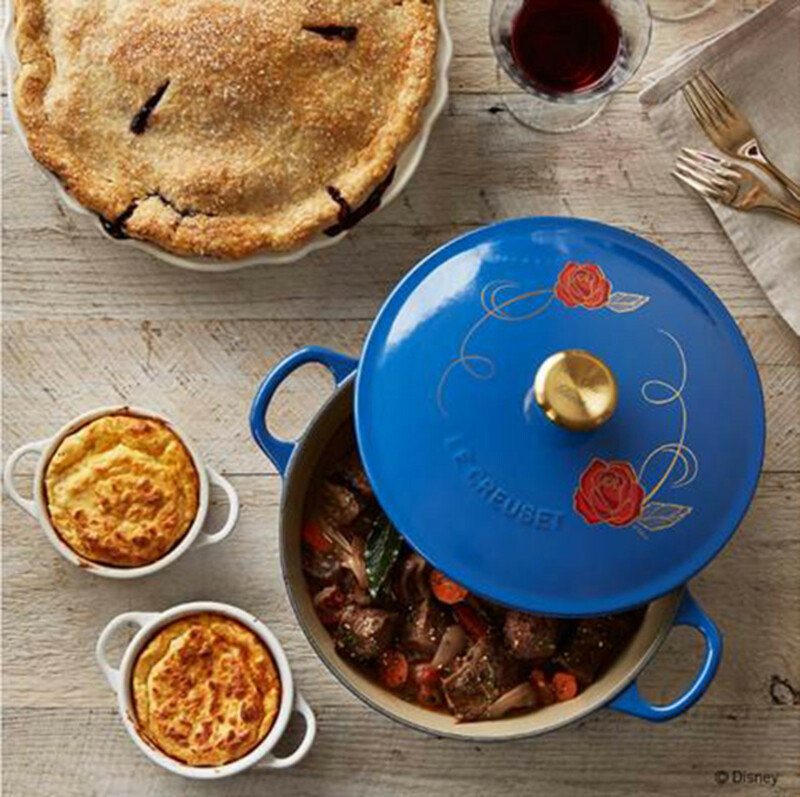 Beauty and the Beast: Be Our Guest... Be William Sonoma's Guest! 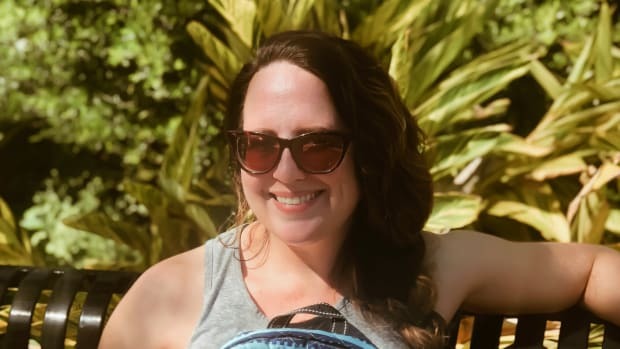 Raise your hand if you’re excited for the new Beauty & the Beast live action movie, coming to theaters in just 14 days (not that I’m counting down or anything!). We love family-friendly flicks almost as much as we love good family meals... And that&apos;s why we were so excited to learn that Le Creuset has launched a charming soup pot inspired by the new film. 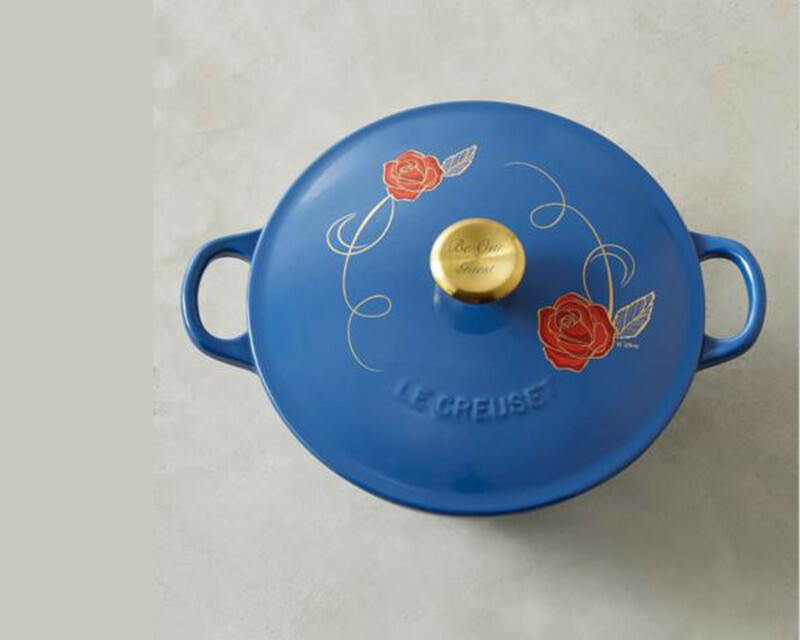 The limited edition blue-enameled cast iron soup pot is decorated with the signature Beauty and the Beast rose, and features an oversized gold knob with the inscription, “Be Our Guest.” ... (Because who wouldn&apos;t want to be a guest at that dinner table?!?) With only 500 available, the limited-edition pot is available exclusively at Williams-Sonoma, LeCreuset.com, and Le Creuset Signature Stores. Better yet, tomorrow, March 4th, Williams Sonoma stores throughout the country will be hosting a super-fun and adorable Beauty and the Beast Junior Chef Cooking class with kid-friendly recipes and crafty creations inspired by the film and designed in collaboration with Le Creuset. More information, HERE.